Why do we forget what we learn? Think about it. You may spend countless hours memorizing information for a test. But after the test, you won’t probably remember a thing. So what can you do about it? Understand what you study and not just simply memorize it. Tutoring is most definitely one of the most effective ways for you to understand the subject you are struggling with. 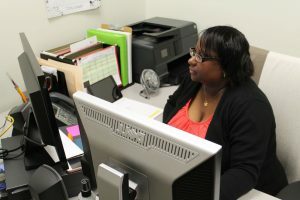 Tutoring Center coordinator Benita Regusters says that in the 2015-2016 academic year 1,757 Rowan students received tutoring help. That’s a 37.2% increase from the previous year. 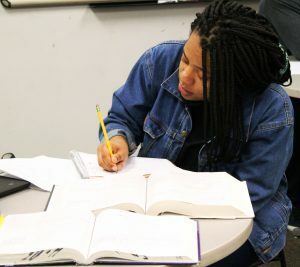 Last spring along, the Tutoring Center helped over 800 students. And every year, the number of tutees grows, because tutors help students to understand what they study. 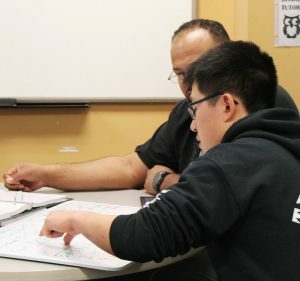 “We offer help in over 350 courses and have over 80 tutors,” says Valentina Bragg, a graduate coordinator at the Tutoring Center, who also used to be a tutor herself. “And we constantly hire on an on-need basis. If we see that there is a demand for a certain course, then we look for a potential tutor, and interview a candidate.” Yes, it is like applying for a job. There is a hiring process all candidates have to go through. Benita is actually the one who does the interviews. But How Can You Find out if The Tutoring Center Offers The Course You Need? Rowan tutors are all peer tutors. They are all current Rowan students: sophomores, juniors and seniors who have taken the courses they offer tutoring help in, earning a B+ or higher in those courses. “They are the real experts in their subjects,” adds Valentina. Whether you want to become a tutee or a tutor the doors of the Tutoring Center are always open for you. 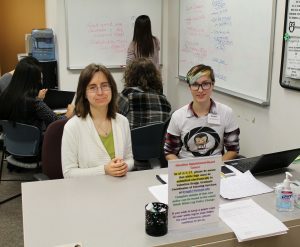 “We always strive to make a match between a student’s schedule and a tutor’s schedule, so they get the help they need,” mentions Valentina, while Benita says that they are always looking for new tutors. Even if you are a transfer student, you can also become a tutor in subjects that you have taken at your previous school. Appointment based tutoring and drop-in tutoring are available to every Rowan student 5 days a week.